Der Artikel Swedish Wind Ensemble wurde in den Warenkorb gelegt. Christian Lindberg has carved out a unique career as an international soloist on the trombone! He has performed with such illustrious orchestras as the Berlin Philharmonic Orchestra and the Chicago Symphony Orchestra. Many of today's leading composer's - Sofia Gubaidulina, Luciano Berio, Arvo Pärt and Toru Takemitsu - have written works specially for him. In 20 years he has appeared on more than 30 CDs. His repertoire covers at least half a millennium! The present CD shows Christian Lindberg in a new light. He has recently taken up conducting and is already in great demand. 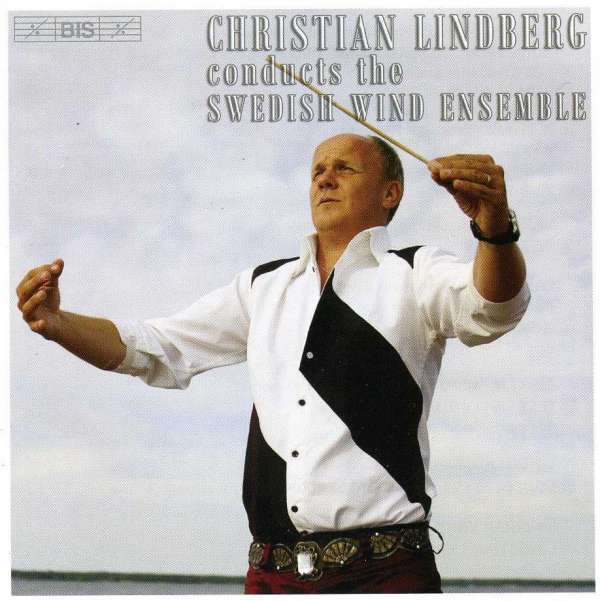 Here he conducts the 43 members of the Swedish Wind Ensemble, whose chief conductor he will become in 2005. 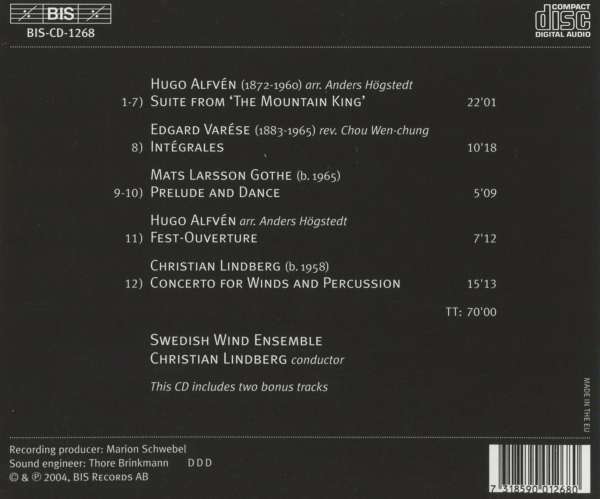 Together they take the listener on a sonic ride from Alfvén's justly popular Festival Overture (inspired by Italian wind bands of a hundred years ago) via Varèse's modern classic Intégrales, to Christian Lindberg's own Concerto for Winds and Percussion.